Graphic designers can unleash the power of their imaginations when they work with the right tools in the right way. Learn essential techniques for creating variable data print campaigns and how to transform static and/or versioned InDesign documents into data-driven personalized print communications with the uCreate plugin. See how to unlock higher production speed using the XLIM composition along with its other benefits. There will also be an introduction on how to integrate eye-catching images generated by Photoshop using uImage. The tutorial files will be distributed so that you can follow along if you’d like or practice on your own. StoreFlow is an extensive package with a wide set of options that can be tailored to suit different web-to-print requirements. This tutorial aims to show you how to easily create new storefronts and what’s involved in adjusting and customizing a store. In addition to basic features and functionality, we will explore some of the new ways to achieve a good responsive design for your storefronts and review some of the do’s and don’ts for a modern mobile-friendly experience. Prerequisites: Familiarity with uStore and XMPie tools. The interactions a brand has with a customer should ideally create a well-connected, journey of inbound and outbound communications across different devices and different touch points. Every stage in the journey is really an opportunity for the brand to gain more insight about the customer and improve the interaction at exactly the right moment. In this tutorial, we’ll examine several cross media campaigns for the fictional company called Pressocup. We’ll look under the hood and see how and why they were created and how Circle was used to orchestrate and automate the campaigns. The Pressocup demo package is given to every customer, so learning all about this tool can be a great way to help sell your services. 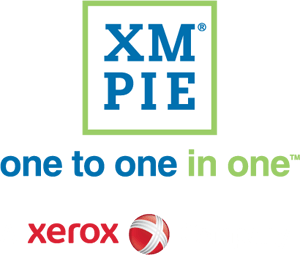 Prerequisites: Familiarity with XMPie VDP and Cross Media tools.